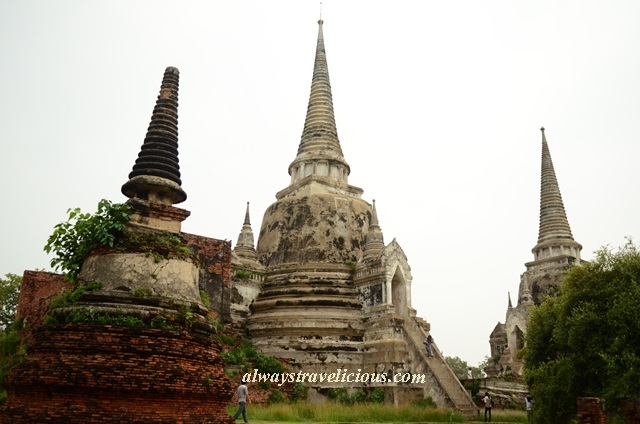 Wat Phra Sri Sanphet @ Ayutthaya, Thailand - Always Travelicious ! Wat Phra Sri Sanphet was originally a temple built in 1448 by King Boromatrailokanat, enshrining a 16 m tall Buddha statue made of gold. 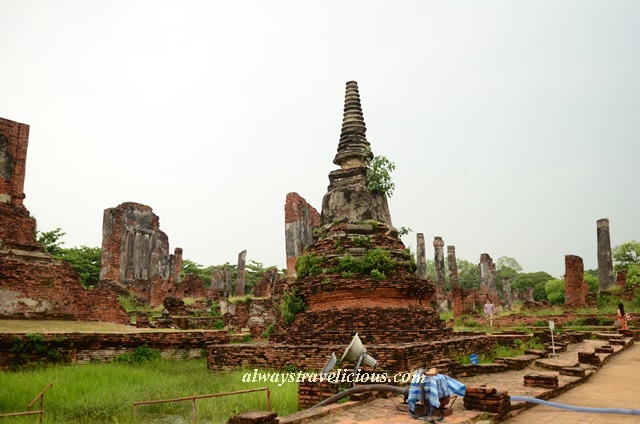 When the Burmese invaded the Ayutthaya Kingdom in 1766, the temple could not escape its fate of being ransacked. 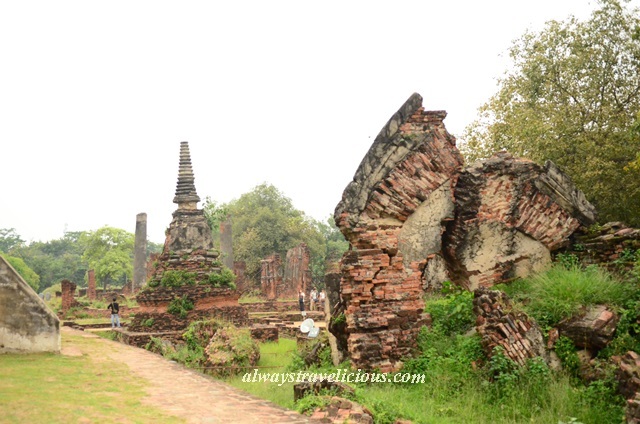 Buildings were destroyed, Buddha statues beheaded and the golden Buddha statue was shattered. 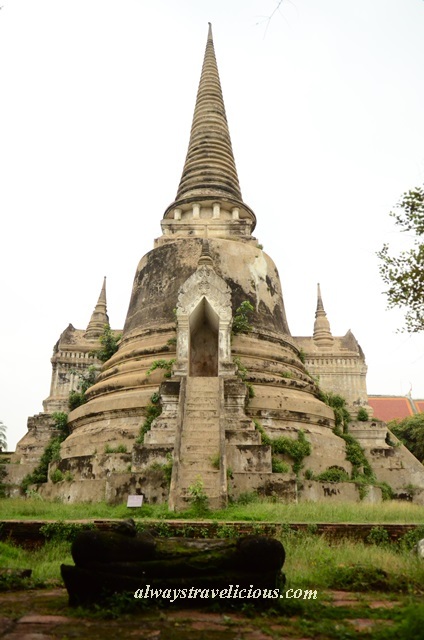 The remains of the statue were taken back to Bangkok to build the Reclining Buddha in enshrined in Wat Pho. Many fragments of stones and bricks are used to reconstitute a symbolic Buddha statue. 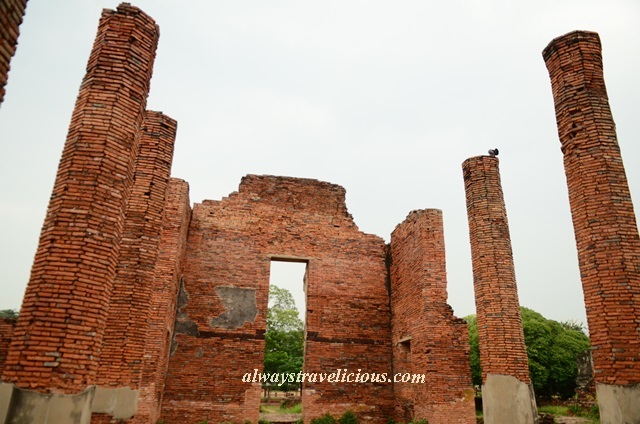 What dominates the temple ground now is the three large chedis built by King Boromatrailokanat to house his own ashes and the ashes of his two sons, King Ramathibodhi II and King Boromatrailokanat III. Opening Hours : 9 am – 6 pm. Entrance Fee : 50 Baht. 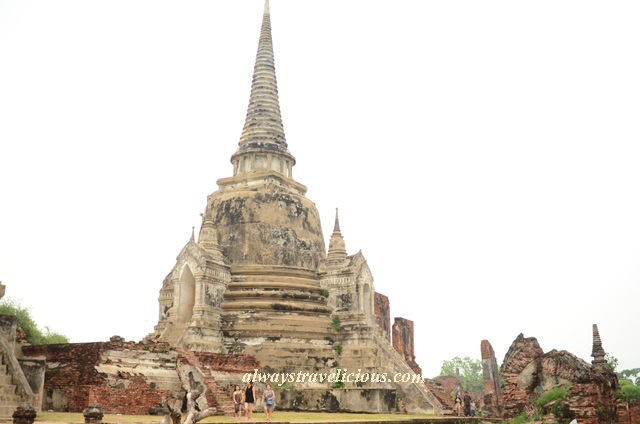 Getting to Ayutthaya : Take the BTS Skytrain to Victory Monument, and take the mini vans to Ayutthaya. The vans leave when they get filled up within 15 – 30 minutes. 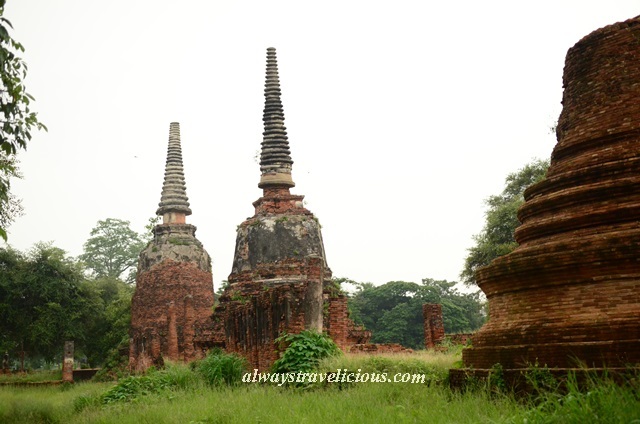 Pingback: Wihan Phramongkhon Bophit @ Ayutthaya, Thailand | Always Travelicious !